Make the most of a Spring evening on Tuesday 7th May at 6.30pm, with a run around Clifton Campus and surrounding areas to raise money for John van Geest Cancer Research Centre (JvGCRC). Take part in either a 5K, or a 1.5K Fun Run, and join for food and entertainment. The route will take place on Clifton Campus, taking in the nature trail and surrounding area. 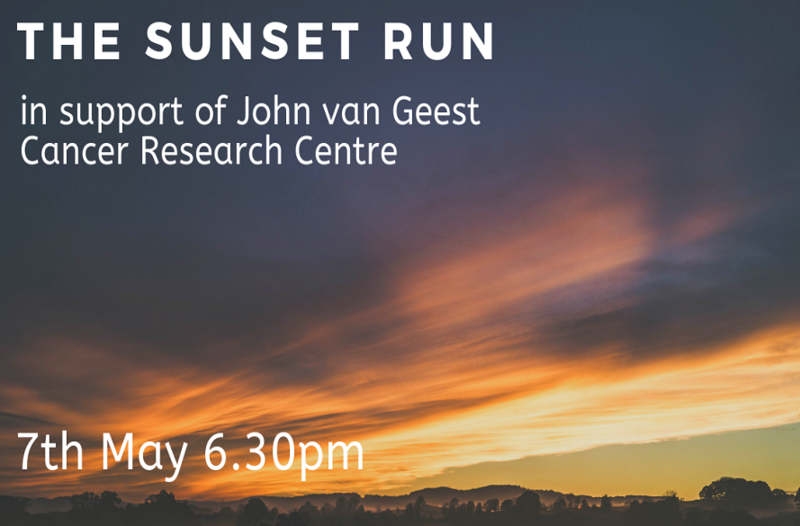 The Sunset Run has been set up to support the work of the John van Geest Cancer Research Centre. JvGCRC is a local research centre at the forefront of the fight against cancer. Established in 2008, the Centre has pioneered innovative approaches for diagnosing cancer better, predicting how the disease will respond to therapy and for boosting the immune system to fight cancer, known as immunotherapy. None of these breakthroughs would have been possible without our community of donors, supporters and friends. To help us continue our work, we are asking all participants to commit to raising at least £50, in addition to our small entrance fee. Groups taking part together are welcome to host a joint fundraising page and set themselves a target as a group. Whether you’re new to running or run regularly, we’ll make sure that you feel supported throughout your training and will be in touch regularly in the run up to the event. Want more info? See our FAQs. On arrival please confirm your entry for the race at the registration desk at Lee Westwood Sport Centre by 18:00 at the latest. Registration will be available from 16:45 onwards. If you are taking part in the 5k event you will be able to pick up your race number and t-shirt (if purchased when booking). To book your place, please visit our booking page. Booking closes midnight Friday 03 May 2019. Clifton campus is located just off the A453, Clifton Lane. If you have a satellite navigation device, please use the postcode NG11 8NS. There's a Rumble on the River this May. 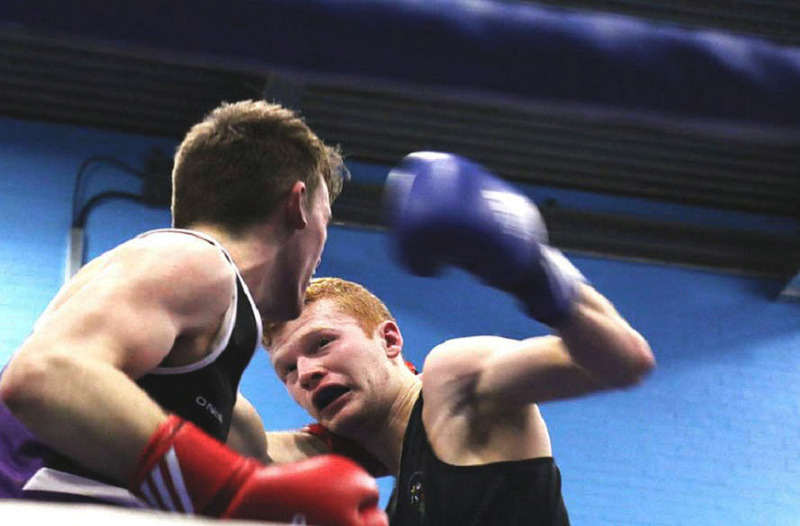 Join us at the City SU Sports Hall for a showcase of incredible university boxing - the first event of its kind right here on home turf. NTU will take on some of the best universities in the circuit.